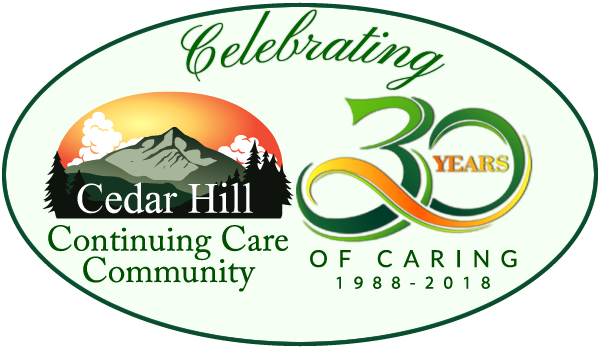 Cedar Hill Continuing Care Community is seeking a full-time MDS Coordinator at Cedar Hill Health Care Center. This position is responsible for assuring the timely completion of accurate assessments and interdisciplinary care plans that meet Federal and State guidelines. Included is identifying resident acuity and needs, helping to determine specific care needs and communicating needs/expectations to families and responsible parties. Education: Holds a current VT Registered Nurse or Licensed Practical Nurse licensure. Experience: Minimum of two (2) years experience in the Long TermCare Setting. Knowledge of MDS and Care Plan process. Basic knowledge of PPS and RUGs. Sufficient to perform the principal duties and responsibilities outlined in this position description. 32 to 40 hours scheduled. Flexibility with helping to fill in nursing shifts that can not be covered otherwise. On-call rotation with Nurse Call. Completes assessments, Minimum Data Set (MDS) and care plans for all residents assigned. Monitors completion of MDSs by other disciplines within timeframes prescribed by regulatory guidelines. Advises supervisor of incomplete and/or untimely assessments by disciplines other than nursing. Ensures accurate, timely completion of the MDS/RAPs/Triggers sheet for assigned residents. Participates in care plans with updates and recommendations based on CAA’s and supporting activities that will result in best possible outcome for assigned residents. Generates and distributes monthly care plan calendar for the following month. Conducts care plan conferences for assigned residents. Reviews all resident incidents and accidents and the 24-hour report daily to ensure that care plans for assigned residents reflect current and changing needs. At patient care conferences, facilitates and coordinates the activities of the disciplines of nursing, rehabilitation, dietary, activities, social services and restorative nursing. Monitors and ensures completion of 7-day look-back documentation by nursing staff within prescribed MDS timeframe. Participates in facility management meetings as requested. Monitors and audits clinical record documentation on assigned residents to ensure accuracy and timeliness. Advises Director of Nursing Care of persistent issues related to non-compliant documentation on assigned residents. Promotes and participates in ongoing education, inside and outside the facility, to maintain and enhance knowledge of current / new regulations and assists to educate and direct staff. Maintains current knowledge of RAIManual and MDS assessment process. Attends in-service training and other educational programs as directed or authorized. Performs all job duties in a manner that ensures that confidential information and resident rights are protected at all times. Supports quality of care and operational efficiency by maintaining an acceptable attendance record. Performs all job duties in a safe manner in accordance with established safety guidelines, protocols and expectations. Reports unsafe conditions when noted and immediately reports accidents to immediate supervisor or other designated on-duty manager. Supports and promotes facility and company standards for superior customer service by exhibiting positive, courteous, and helpful behavior when dealing with all internal and external customers. Complies with established standards described in facility policies and procedures, code of conduct, corporate compliance plan, employee handbook and other company documents and publications. Runs Med A meeting using approved format provided. Works with Therapy Department to address ARD’s, therapy minutes as determined by need-daily to 2x/week. Participates in Triple Check monthly. Ensures all Diagnose in resident EMR are up to date and accurate. Monitors and reviews case mix for reimbursement with Administrator at least quarterly. Actively observes residents in the MDS window and upcoming window for changes and current activity and health status for accuracy of coding. Verifies any MDS coding discrepancies with key staff and creates an MDS note to justify the coding and references the Staff discussion. Reviews and Compiles CASPER Quality Indicator reports at least monthly with Administrator and Director of Nurses. Participates in nursing home on-call system at Cedar Hill with DNS, ADNS, Nurse Manager, and qualified RN’s. Cedar Hill offers paid vacation and sick time as well as health, dental, vision and short-term disability.